SCVHistory.com | People | 1959 Hart Grad Bill Rice to Enter Fresh Water Fishing Hall of Fame, 2015. Bill Rice, a 1959 Hart High School graduate who edited the school newspaper and went on to become the editor of Western Outdoor News, will be inducted March 5 into the Fresh Water Fishing Hall of Fame. 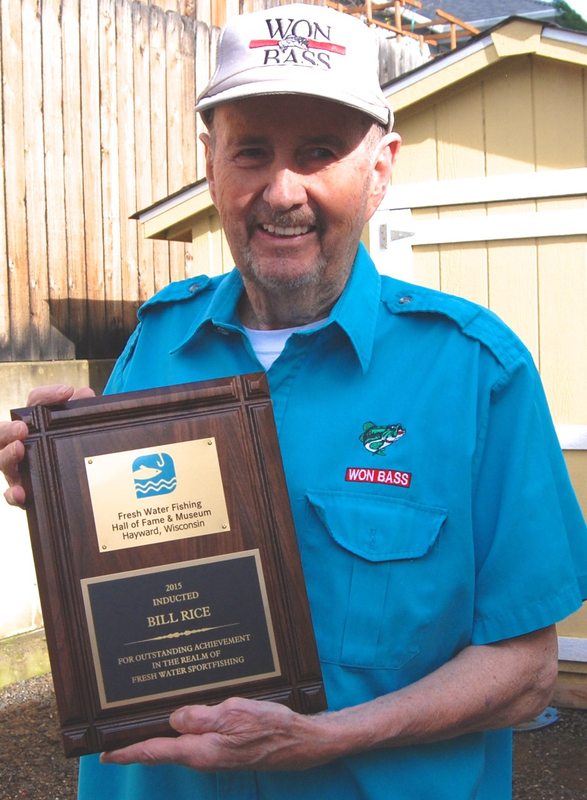 "Bill Rice was instrumental in helping the fishing industry grow by promoting it on the West Coast through writing and nationally televised exposure," according to a report in the Hall of Fame's quarterly magazine, The Splash. Rice spent nearly 50 years in the fishing industry. In 1973 he established Western Bass magazine as a monthly supplement to Western Outdoor News (WON), the nation's largest weekly fishing and hunting newspaper. He would become editor of both publications. Rice created a weekly television show for The Nashville Network that took him from Mexico to Alaska from 1984-1990. He returned to Western Outdoor News in 1988 and retired in 2003, although he continues to write occasionally for the publication. Rice, who lives in Oregon, also keeps in touch with his hometown. He has written several personal histories and shared photographs from his Newhall boyhood on SCVHistory.com – from picking onions as a youngster in what is now Valencia, to shooting candid photographs of Frank Sinatra during the filming of "Suddenly" in 1954 on the streets of Newhall and Saugus, when Rice was 12. After his school days he lived in Costa Mesa where he was a member of the Saddleback Bassmasters club. "He was the fastest copy editor to ever hit a newsroom," writes protégé George Kramer, a noted bass fishing columnist who once wrote for Rice. "(He) knew every bass fisherman he ever met by his first name." The Hall of Fame induction ceremony will be held March 5 at 1 p.m. at the Fred Hall Sports Show in Long Beach.